But like I said, the mess that you create once you get back in is never ending. 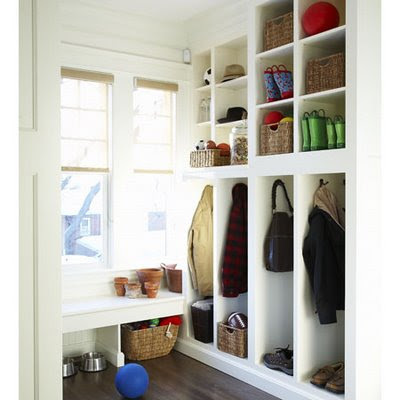 I wouldn't be so annoyed or frustrated with it all if I had a proper mudroom to control the snowy mess but I don't so I can't. 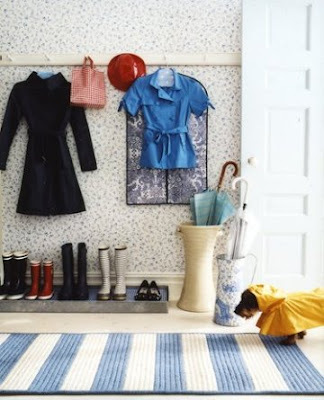 What I can do is dream of the day that I do get a mudroom and start thinking of how I would want it to look like and function. 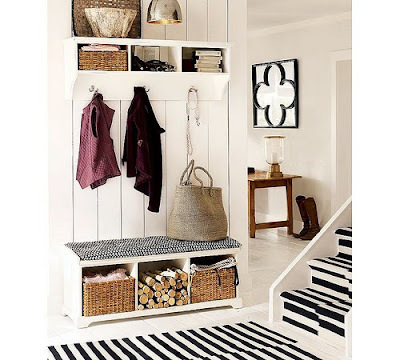 The ones below are just a few that I could find that I think are perfect. 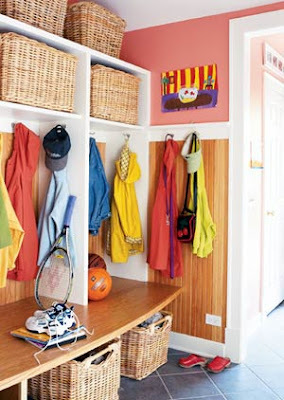 I prefer mudrooms that are a completely separate room from the rest of the house. Containment is key. 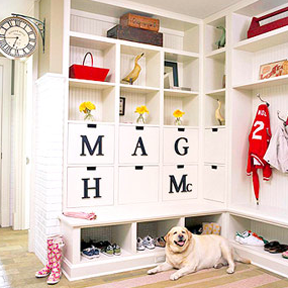 Built-ins are such a great idea for mudrooms. 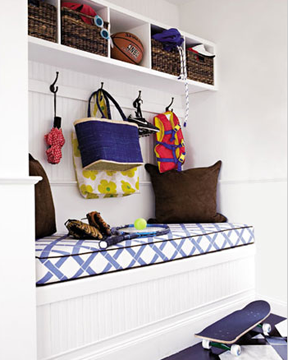 All that extra space you create for cubby-holes. 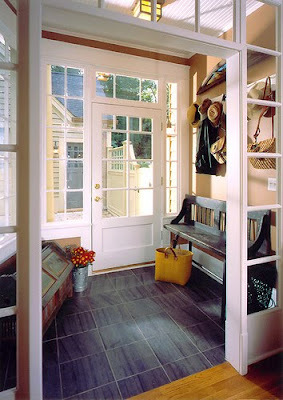 Side entranced mudrooms are the best, I think. 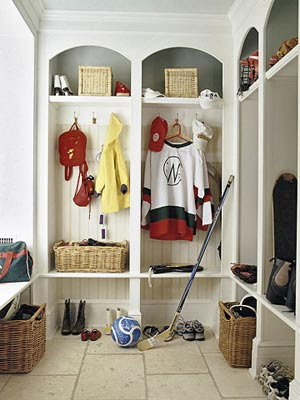 oh i'd love a mudroom. 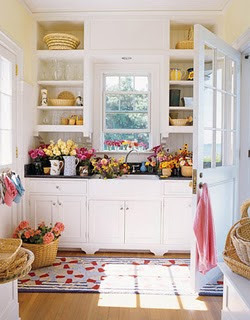 one as pretty as this would be a plus.